Blackpool is known as Britain’s undisputed capital of fun and entertainment. Situated on the northwest of England, it is a seashore town in Lancashire. With an overall population of 142,100, it is 59.5 miles away from Manchester Airport. If you are in London and want to enjoy the all-time festive season of Blackpool, then get in contact with Minibus Transport Solutions. With the Minibus Hire with Driver in Blackpool, we provide the option of group journey as well as private traveling. One of the major attractions in Blackpool is the Blackpool Tower that is a dominating landmark of Blackpool. This 518 feet tower was opened in 1894 and is said to be inspired by Paris’s Eifel tower. The 3 piers, Grand Theater, and the gigantic wheel are some other attractions that the visitors love to see. With so much in the store, Blackpool attracts thousands of visitors every year. Once, you book the journey with us, all the travel related responsibility will be ours. You will be driven around the city is elegance and opulence. With our Blackpool airport minibus hire, you will be picked from the Blackpool airport on time and the further schedule will be carried out according to your needs. Our fleet of vehicles includes taxis, 7, 8, 9, 12, 14, 16 seater minibus hire for Blackpool. Select one of these vehicles and turn your holiday into a celebrated affair. Our minibus hire services in Blackpool are linked to all the major airports of the UK including Stanstead, Gatwick, Birmingham, and Heathrow. We offer a no waiting, no sharing, and timely pick up service in a very affordable package. Whether you want to travel to one of the airports or wander around the city in the midnight, there is a proper arrangement for all the needs of the clients. We proudly put forward a competitive price for all the travel packages so that our client doesn’t even have to worry about the budget. 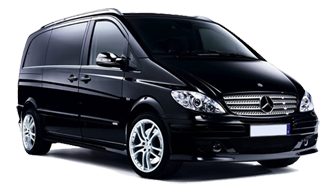 Altogether, you can accept our packages as a cheap minibus hire in Blackpool. All the vehicles available at us are equipped with the latest gadgets and comfort accessories. Moreover, we offer a 24*7 Seaport Tax Service to our clients. So, get in touch with us via a simple form available on the website. Follow up with the pickup land drop off location and ask the question you want to inquire about. Get cleared with your doubts and go for a Blackpool minibus hire with MTS.